A little slice of summer came to Shiraz Bar and Restaurant in Marbella's Puerto Deportivo last weekend. A beautiful Saturday, where the weather had more in common with mid May than the second week of January, saw popular local guitarist and singer Monty - who must be one of the hardest working musicians in Marbella (you can catch him live at La Sala on alternate Thursdays) - play live, partnered by Jose on the percussion. A busy terrace was able to enjoy the post lunch sunshine as Monty kicked off with well known Spanish songs including " La Flaca", "Entre dos Aguas" and an excellent "Como el Agua" . As the sun set the tempo picked up, and Monty soon had people up and dancing. 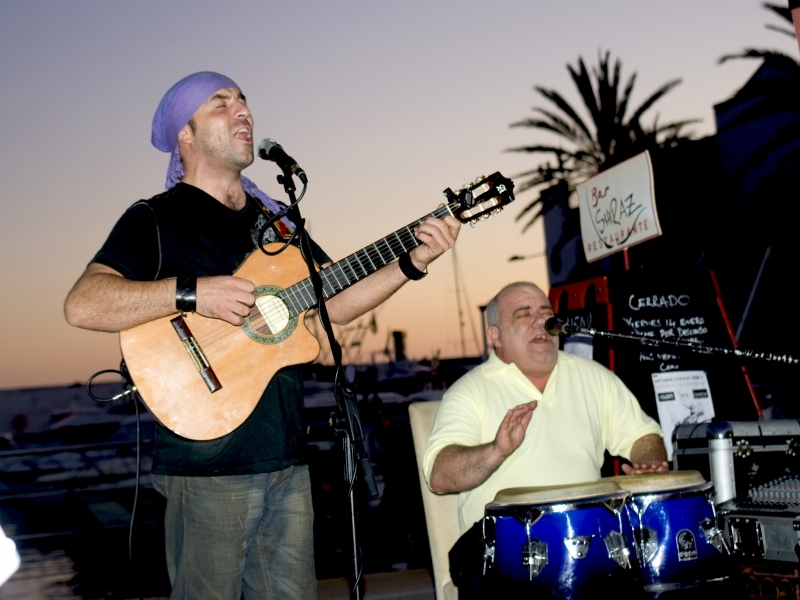 Congratulations to Celso, Mimi and the rest of the crew at Shiraz for bringing live music back to Marbella Port, and let's up that they can bring the sunshine back when Monty plays next Saturday! Are The Scarletz Messed Up?